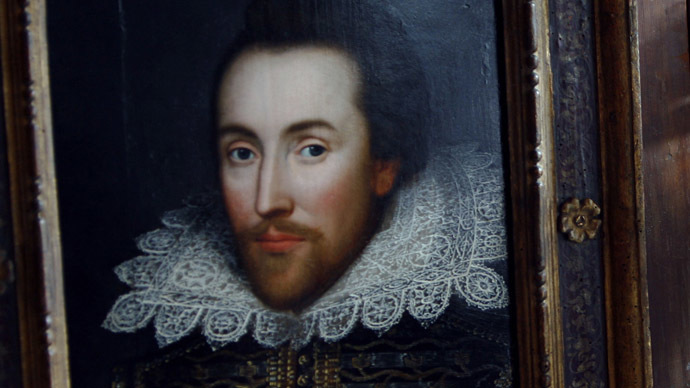 An academic is calling for Shakespeare’s remains to be dug up for scientific testing so more can be learned about the legendary English playwright, poet and actor’s life. Francis Thackeray, from Johannesburg’s University of the Witwatersrand, says he is “very interested” in the possibility of examining the writer’s grave. Thackeray has suggested Shakespeare’s remains should be exhumed and tested, as was recently done with England’s King Richard III, himself the subject of a withering critique from the Bard. “Given the extraordinary success of the study of the skeleton of Richard III, we recognize the potential of undertaking forensic analyses of the Bard,” Thackeray told the Telegraph. Thackery said analysis of Shakespeare’s bones could uncover new data regarding how the playwright lived, what he drank and ate, and whether rumors that he smoked marijuana are true. Nevertheless, he conceded an epitaph imprinted on the writer’s grave may prevent such an occurrence. Shakespeare is said to have feared the prospect of exhumation, and harbored an odd obsession with burials and the mishandling of corpses. “Good frend for Jesus sake forebeare/ To digg the dust encloased heare/ Bleste be the man that spares thes stones/ And curst be he that moves my bones,” an inscription on his tomb in Stratford-upon-Avon, Warwickshire, reads. Experts who back the theory Shakespeare feared exhumation suggest his anxieties regarding the mishandling of corpses surface in a minimum of 16 of his plays. Despite Shakespeare’s curse, Thackery believes the playwright’s remains should be analyzed. “We could possibly get around that by at least exposing the bones and doing high-resolution non-destructive laser surface scanning for forensic analyses, without moving a single bone,” he told the Telegraph. Thackery insisted that Shakespeare's epitaph mentioned nothing about teeth. The South African academic added that laser technology could assist in producing a reconstructed image of Shakespeare’s face. Thackery's suggestions have been met with strong opposition from leading Shakespeare scholars. Skeptics include the head of the British Shakespeare Association, Stuart Hampton-Reeves, who queried the value of Thackery’s proposed investigation. “None of the big questions — how he worked, how he put the plays together, what it was like to be at a performance — are going to be solved by examining the bones. It would produce a lot of publicity, and not much research,” Hampton-Reeves told the Telegraph. Previously in 2011, an application by Thackeray to secure access to Shakespeare’s remains was rejected. Nevertheless, he is hopeful the recent discovery and analysis of Richard III’s grave may alter perceptions. Although Richard III was depicted as a monstrous, evil figure by Shakespeare in his famous play, “Tragedy of King Richard the Third,” some historians argue that the evidence surviving from the 15th century king of England's reign contradicts this picture of events. Recent analysis of Richard III’s remains also confirms he suffered from scoliosis, and died from a heavy blow to the head.